Pastor Keith began his ministry at Zion in the fall of 1998. 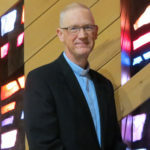 Prior to his ministry here he served two and a half years as an associate pastor at Messiah Lutheran Church in Marquette, MI, and ten and a half years as pastor of Emanuel Lutheran Church in Skandia, MI, and First Lutheran Church in Trenary, MI. Pastor Keith is married. He and his wife, Karen, have two children, Jake and Jacki. Pastor Keith received a bachelor’s degree from Carthage College, majoring in vocal music. He received his master’s of divinity degree from the Lutheran School of Theology at Chicago. 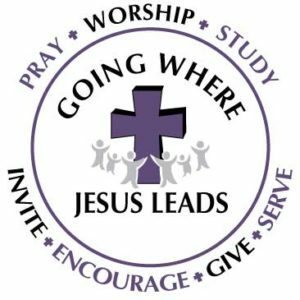 He spent a semester in clinical pastoral education at Rush Presbyterian St.Lukes Hospital in Chicago and his internship year took place at St. John’s Lutheran Church in Rock Island, IL. On May 27th, 2007, Pastor Keith received a Doctor of Ministry degree from Luther Seminary, St. Paul, MN, in congregational mission and leadership. The theme of his thesis focused on discerning God’s vision in a congregational setting. In addition to his energetic sermons, Pastor Keith is well known for the many different puppets he brings to the Children’s Time during worship. Pastor Keith is active within Marinette’s Kiwanis group, performing in its “Kapers” show which is produced every other year. For recreation Pastor Keith enjoys hunting and fishing as well as home repair projects. 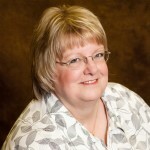 Ann Buscher is a retired Elementary Music teacher. She taught in the Marinette Public School system for 32 years. 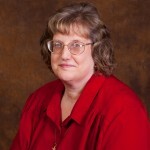 She directs the Senior Choir and is head of the Worship and Music Committee here at Zion. She is also one of our organists. She works with the community Ecumenical Bible Class for adults with special needs and is active with River Cities Concert Association. She loves to read, swim at the YMCA and go out to eat with her friends. Karen has been married to Gary for 25 years and they have one son, William. They both were born and raised in the lower peninsula of Michigan and moved to Wallace in 1989, and then to Marinette in 2005 where they currently reside. Karen has a 16 year background in the banking industry. She is also a cosmetologist, has a degree as a medical office assistant, has been a pharmacy technician and started working for Zion in the fall of 2007. Her hobbies are spending time with Gary and their dog Boty, seeing their son whenever possible, camping, craft shows, taking rides and seeing new things. If you ever have questions about the records regarding your giving, please don’t hesitate to ask or call.